Daisy Wart, a Shakespearean actress with grand ambitions, is FURIOUS at being left at Toadspit Towers School for Witches by her grandmother. SHE IS NOT A WITCH! But Daisy soon becomes drawn into the mysteries of life at Toadspit, and finds that she even has a few magical surprises up her sleeve. . . 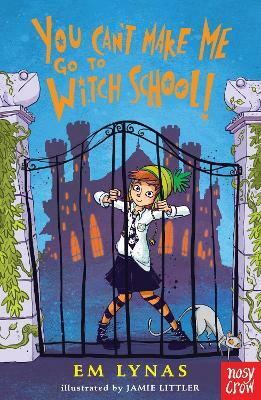 The adventures of Daisy the reluctant witch are perfect for fans of magical school stories.